What were you doing when you were 14? I bet you weren’t busy warning your fellow countrymen about imminent natural disasters. But that’s exactly what 14-year old Chilean Sebastian Alegria is doing. 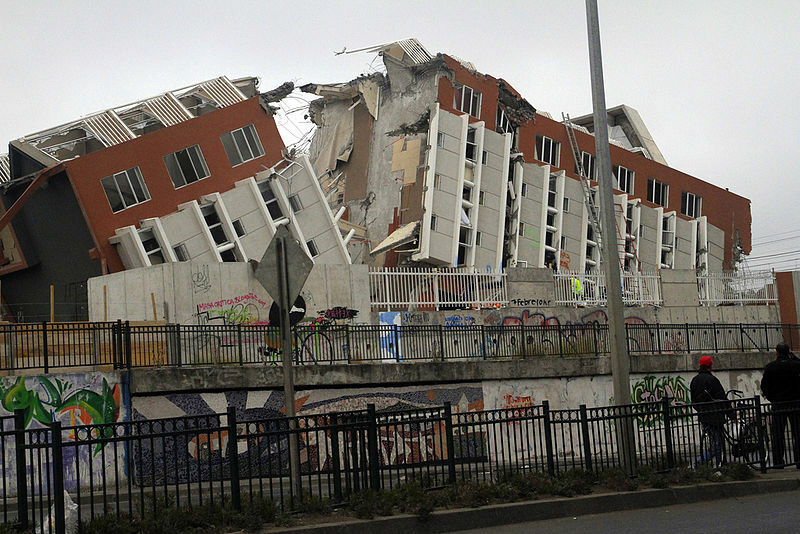 You’ll recall the terrible earthquake that struck Chile in 2010. Although he wasn’t hurt, Alegria, a high school student from Santiago, Chile experienced it first hand. When Japan was severely hit by an earthquake and tsunami nearly a year later, Sebastian was watching the news with great interest. When he saw that the Japanese had a warning system about imminent earthquakes, he decided to investigate: could he do the same in Chile? More importantly, could he come up with a solution he could afford, instead of expensive detection systems? This is how he came up with the idea of the Twitter bot @AlarmaSismos. The way it works is ingenious: Sebastian bought a domestic earthquake detector for only $75. He then replaced the internal circuit with an Arduino board which interprets the signal. He proceeded to connect the device to his server. Job done: instead of ringing, the hacked detector was now tweeting! The account, which opened to the public in May 2011, now has around 29,000 followers and counting. So far, it has correctly detected all major earthquakes that could be felt in Santiago. Sebastian heard that the Chilean government is working on a similar alert system, but it won’t be ready for another year. In the meantime, Chileans can count on Sebastian. So how did this happen? Sebastian can’t say for sure, but he’s always been into computers. 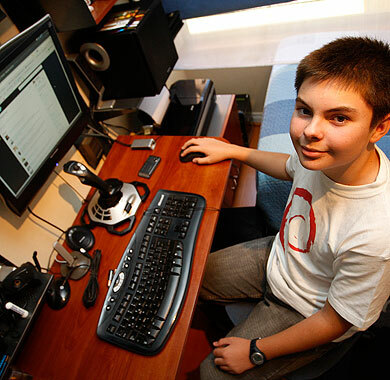 His father gave him his first PC when he was four-year old and taught him how to use it. Sebastian also did a lot of experiments on his own: before Alarma Sismos, he had already launched a couple bots. One is @HoraChile, which tweets the time it is every ten minutes. According to Sebastian, it started as a joke, but he kept it up and running when he discovered that some people found it useful. He then created another bot warning his Twitter followers about their typos, @MejorOrtografia, is now discontinued because it was too much for his server. He currently co-runs a Twitter weather bot, El Meteorologo. What’s next for Sebastian? For now, he’s very much focused on improving Alarma Sismos. The first step will be to add more sensors across the country to improve accuracy and timing. Sebastian will soon travel to another region to install one similar detector; he was also approached by someone willing to host a third one. With these additions, he hopes that Alarma Sismos will tweet up to one minute in advance of the actual earthquake. This would leave people more time to protect themselves. Another improvement he’s working on is text messaging: besides tweeting, it would be great if Alarma Sismos could send warnings via SMS. He’s already been talking to Internet-to-text service providers but hasn’t closed a deal yet. So far, sending delays always made it a no-go: the service makes no sense if the text messages aren’t sent immediately. Now that he’s gained media attention, Sebastian hopes to negotiate directly with mobile operators. As for his personal plans, Sebastian isn’t sure yet what he wants to study. But it’s certain the Internet needs people like him.